How many times have you heard of someone tuning in for the Academy Awards just to see who wins for Best Cinematography? Probably not often, because Oscar buzz is almost always catered to the glamour of the nominated actors. But as we know, these are not the only ingredients to making a movie, which is why cinematography remains one of the most under-appreciated aspects of filmmaking. Despite the fact that there are many celebrated cinematographers (like Leon Shamroy, who has won four Oscars, or Charles Lang, who has been nominated 18 times), many people still don’t quite understand what cinematography means and just how important it is to the production of a motion picture. In its most basic form, cinematography is simply a term used to describe the art of motion-picture photography. Thus, a cinematographer is responsible for setting the visual feel of a film, down to the type of lens used on the camera (some films want a purposefully grainy look, while others seek exquisite crispness). Their time is often spent focusing on the mise-en-scène, or the arrangement of scenery and setting of an action. The cinematographer — also called the Director of Photography — is responsible for composition (how the elements appear), lighting, camera motion, color (movies often have palettes), depth of field (distance between the nearest and farthest objects), focus, zoom and the positioning of people. Though these are sometimes shrugged off as technicalities, the tiny details are often what makes our favorite films extraordinary. Often considered one of the greatest films of all time, Orson Welles' Citizen Kane (1941) pioneered a slew of incredible cinematography techniques. Gregg Toland was Kane's Director of Photography and one of the most respected methods in the film is his use of deep focus, or when the objects in both the foreground and background are in focus. In the scene below, notice how Toland keeps young Kane in focus through the window in the background, all while his parents are focused in the foreground. Another noted technique from this scene is how the camera seems to seamlessly move through the dining room table without any cuts or interruption, all while keeping everything perfectly in focus. Cinematographer Michael Ballhaus worked on Scorsese's Goodfellas(1990) and demonstrated one of the most interesting techniques in filmmaking: the long shot. This method is fairly self explanatory; a long shot is a sequence filmed entirely in one continuous shot. 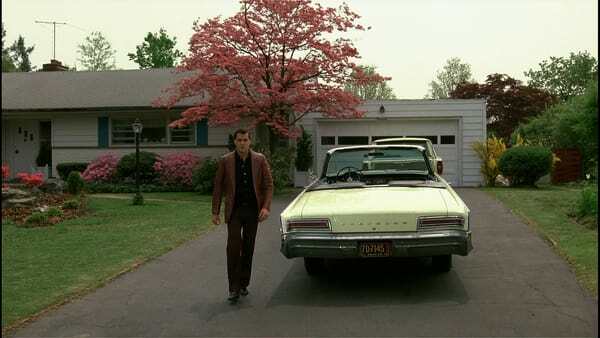 From the moment when Ray Liotta's character valets his car, the scene is one uninterrupted shot that lasts nearly three minutes. Despite the absence of other cameras, there is still a lot happening in this scene, and the long shot make sure not to miss any plot points. A distinct color palette in a film can be difficult to identify, but famed cinematographer Roger Deakins nailed it on the head with Sam Mendes' Skyfall (2012). The palette is consistent throughout the film and even when switching from darkness to light, the color scheme never seems out of place. Take this short sequence, in which Daniel Craig and Judi Dench's characters James Bond and M, respectively, are seen in the sunlight and then inside a bleak building. Despite the shift in brightness, the color palette remains relatively cool (blues, greens, browns), keeping with the dark and mysterious feel that James Bond films often emit. It is impossible to discuss cinematography without mentioning Geoffrey Unsworth, who most notably worked on Kubrick's 2001: A Space Odyssey (1968). An incredible Director of Photography was certainly required to match how meticulous Stanley Kubrick was as a director. The scene below is certainly a demonstration of many cinematography techniques at work — from lighting, to focus, to the transition of special effects — but it's important to note the positioning of the actors as they make their way down the spinning hallway. In this case, the positioning of the actors was the key ingredient in making the hallway's special effects work correctly, and Unsworth made it happen. The video below gives a more in-depth look into how the scene was filmed, but the visual of the long, stark white hallway as the men position themselves further from view is an incredible image. A cinematographer fine tunes a production to make a film extraordinary beyond dialogue or plot. A simple detail, like color palette or deep focus, may not be something immediately noticed, but it influences how the story is perceived by the audience. So next time you watch a movie, pay attention to the mise-en-scène, because it's just as important as any other aspect of the film.